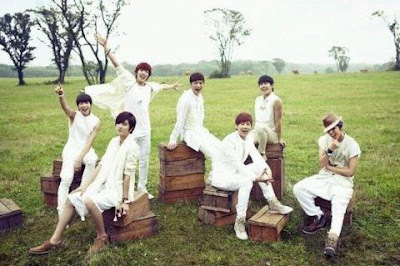 K-pop Wave: Infinite : They are back! As the title says Infinite are back with their new Japanese song 'She's Back'! The single managed to take first and second in ranking on Tower Records' pre sales! No wonder why. Apart from how unbelievable talented Infinite is they put their heart and soul in every song that's why they make it successful. Also if you are looking a song to describe this summer, look no further. The song, the video, the rhythm, the beat and the friendship of this group shows how summer should be! As you're watching the video there's no way that you can not smile and feel the happiness that fills the video. The perfect track of this summer...Enjoy!